Relationships are an essential ingredient of successful selling. But will your relationship survive a change in the customer’s strategy, increasing budgetary pressures or the involvement of procurement? In this insight we examine the challenges to relationship selling and how they can be met. Relationships are the sellers ‘stock in trade’. They are valuable, if intangible assets. If you think otherwise just see how long it takes a new salesperson in a new territory to get off the ground without any contacts or relationships to leverage. An established relationship, is an investment of perhaps years of service and attention. It equates to a competitive advantage based on knowledge, rapport and trust that has been built up over countless emails, phone calls and meetings. It means that the seller understands (or at least is in a better position to understand) the customer’s needs and how to solve them. Most salespeople see themselves as being in the relationship business. 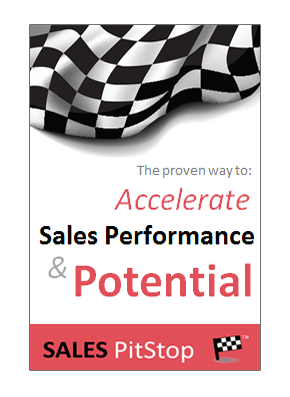 However the sales person’s greatest strength is under attack. It faces a number of deliberate challenges from procurement, as well as other sources. A key threat to the relationship base of any sales organization that is the turnover of staff on both sides. People are continually moving up, down and out, both in the buying organization and the sales organization. Take for example what happens to a pool of 10,000 relationships in a sales organization where there is a 30% turnover of sales staff, accompanied by a similar level of turnover / rotation of staff on the buying side over a 3 year period. That would mean an attrition of up to 6000 relationships every 3 years! Scary isn’t it? Well, it is interesting to note that the average level of turnover of sales staff is put at 30% annually (as opposed to every three years). Is Procurement The Enemy Of Relationship Selling? Why at the elbow? That is because it is the elbow controls the hand that writes cheques, or purchase orders. It is how you control what money gets spent. While procurement’s coverage of total spend in most organizations is typically less than the two thirds mark, the trend is towards greater control by the professional buyer. In some cases that involves a procurement professional at the engineer’s (or other traditional buyer’s) elbow, in other cases it means just procurement and no engineer at all. In many organizations an increasing proportion of communication with suppliers is channeled via procurement – especially before the purchase order is issued. Indeed, in some organizations there are rules of engagement designed to limit access. There are also policies to restrict obtaining perks and benefits from suppliers – causing more buyers to decline invitations to the golf outing, or the sponsored industry workshop. When it comes to relationships, procurement and salespeople hold opposing views. Sellers will often put the relationship strength as the number one reason for a customer doing business with them, ahead of economics, or price for example. Buyers on the other hand will put it at the bottom of the list in terms of reasons to buy, with price, product quality and others as the key motivations. A seller might say; ‘Buyers buy because of a personal relationship rather than a logical evaluation of the supplier’s offerings’. In other words the decision is made before it has began and it is emotional rather than logical. For professional buyers such a statement is an anathema. The notion that contracts are awarded based on relationships, rather on the basis of the most competitive tender is alien to procurement. It is the very motivation to wrestle decision’s away from managers or end users, and to put them under procurement’s control. Typically procurement spurns cosy supplier relationships. It is a big fan of the competitive tender, where competing suppliers are expected to compete on their merits, without favor They fear the inertia and perhaps even lethargy that can develop within a long standing comfortable vendor relationship. In the eyes of procurement new suppliers tend to bring new ideas and enthusiasm, as well as better prices. That is why procurement leaders will often be heard to say that the incumbent supplier must work harder to keep the business in a tender situation. The incumbent must be clearly better – after all, given their knowledge of the customer’s business, they have an advantage over a new competitor. As a salesperson aligning your relationships with the new source of buying authority can be a challenge. In the post procurement era, those with whom we have traditionally had our relationships, may no longer have the authority to write the purchase order. While our contact may have the same impressive job title, his, or her power to spend may have been eroded significantly. For example, a salesperson told me recently of his main contact’s dramatic loss of power – previously the manager had the authority to spend $50,000 overnight it had been cut to $5,000. For many other managers their autonomy over buying decisions has been supplanted by buying procedures, cross functional buying committees and internal approvals processes. Developing relationships with procurement, now essential in most organizations, puts the seller’s relationship-building skills to the test. That is because procurement is often seen by sellers as being relationship-averse. In their interactions with sellers they can appear cold and distant. It is true that many procurement professionals don’t see building relationships with the salesperson as part of their job description, at least certainly not in respect of the majority of suppliers. 1. Build relationships with procurement: The age of avoiding procurement is over! 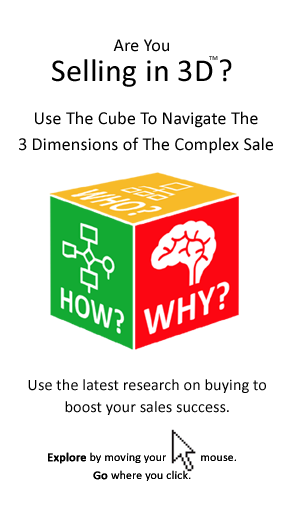 You can find some tips on selling to the more cold and reserved buyer by clicking here. 2. Broaden your relationship base: One way to protect your relationships, is to develop more of them. In particular expanding your circle higher and wider within the buying organization. This is particularly important in respect of the increasingly cross functional nature of decision-making in large organizations. 3. Communicate The Value: Does the relationship rely on a proven track record, or a personal liking? If it is the latter, then take care. Don’t expect your customers to buy from you just because they like you. Make sure they have a justifiable economic reason for doing so. Never lose an opportunity to communicate and reinforce your value / impact on the customer’s business (project, department, function or team). 4. Don’t get complacent: You believe your customers to be loyal and committed. But there is evidence that we tend to believe that our relationships are stronger than they actually are. There is an optimism bias where sellers typically rate the strength of their relationship much higher than their customers do. 5. Guard and protect your relationships: Protect relationship by tracking and communicating your value. In the context of the hard-nosed buyer that means communicating what money they saved, or made by using your solution. 6. Get strategic: Find ways to become more strategically important to the customer. Ways to contribute more clearly to the success of their project, business, team, or function. That requires moving beyond product features and benefits to address the issues of economics, management of risk, compliance and so on. 7. Anticipate and plan for future changes in your key accounts that will impact on your relationship. For example take the trend towards the consolidation of suppliers. If your customer has many similar suppliers, some element of consolidation is inevitable over time. So, it makes sense to work with the customer showing how you can help them consolidate with your company as the prime supplier.